“A brilliant glimpse at genius.” – J. I. “This book is a fascinating and valuable book about a most reclusive man.” – M. S.
“Read this book…even if you know nothing, even care little, about the art form of martial arts. As told by his core of dedicated top students, this story of Mr. Umpad’s life shows the incredible character of what I gather was a kind, respectful, but no-nonsense mentor and teacher who wanted to keep his students teaching, and preserve and sustain the art of eskrima.” – Bernadette S.
“Very good book…the account of his childhood sparring session with a kid from the South, alone, is worth the price.” – B. D.
“I would highly recommend this book. Maestro Umpad was a remarkable teacher, the loyalty and respect he engendered from his students is a testament to his character and skill.” – E. B. “The book is awesome. “Like a Priest” is my favorite chapter…Maestro Sonny Umpad is right there with Angel, Anciong, Tatang and all the great Filipino fighting men.” – K. B. 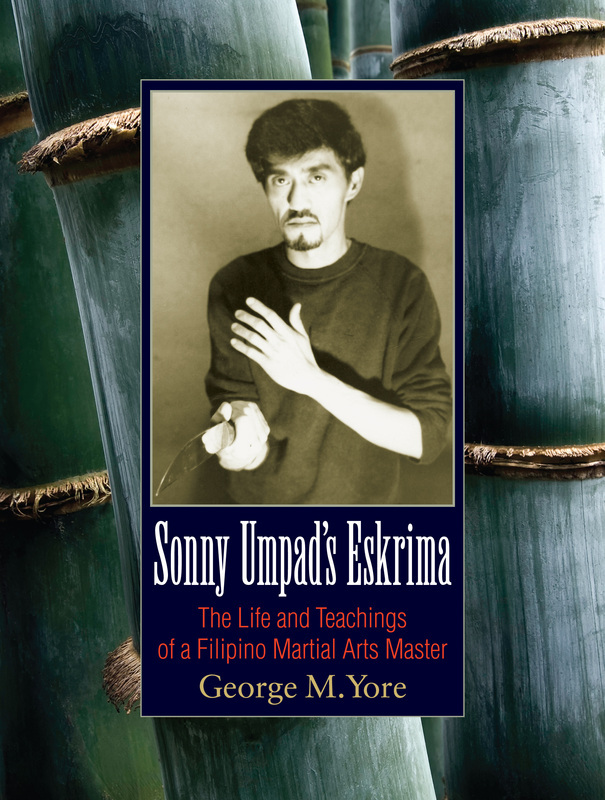 Thank you for your interest regarding the literature on the late, enigmatic Visayan eskrimador, Santiago “Sonny” Umpad, entitled, “Sonny Umpad’s Eskrima: The Life and Teachings of a Filipino Martial Arts Master”, Berkeley: Blue Snake Books, 2012. 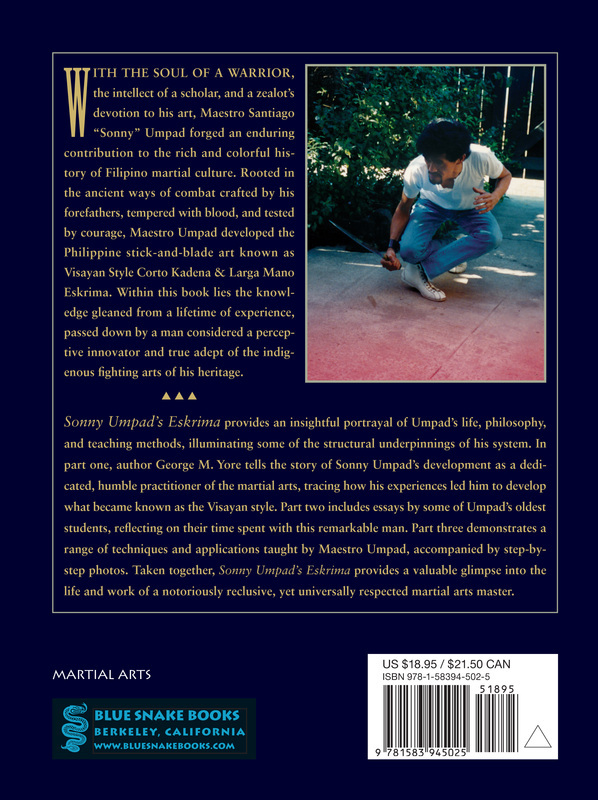 This work is the most comprehensive book written about Grandmaster Umpad and his eskrima system – answers to your questions may be found within its pages. This martial arts gem has garnered 5 stars from customer reviews on Amazon and Goodreads. Treat yourself to a copy, by visiting www.bluesnakebooks.com or www.amazon.com or www.northatlanticbooks.com. The book is available in both print and electronic formats. Copyright © 2014 by George M. Yore & The Visayan Eskrima Guild, All Rights Reserved.